Samantha Blackburn on her role as a volunteer parkrun mental health ambassador. This weekend marks the 14th anniversary of parkrun. What started as 13 people in a park has grown to a worldwide weekly event that over 5 million people are now signed up to. I’ve long been a regular 'runner' and volunteer at my local parkrun, and earlier this year I was privileged to join the team as a volunteer mental health ambassador under the PROVE project banner. I'd like to reflect on what I can bring to this role and what parkrun can provide for our service users. Initially when I first started taking part in parkrun I didn’t give its ethos much thought: it was an accessible weekly run that satisfied my love of running, community and data! And this simplicity, in my opinion, is one of its greatest strengths. Their message of being 'free and accessible for everyone forever' means that I didn’t have to give it much thought, I just had to turn up. But for many that isn’t always that easy. As clinicians we are aware of the many barriers that stop service users engaging in activities and we often reflect with individuals about how they might overcome these, where they might practice skills, and the benefits to them. 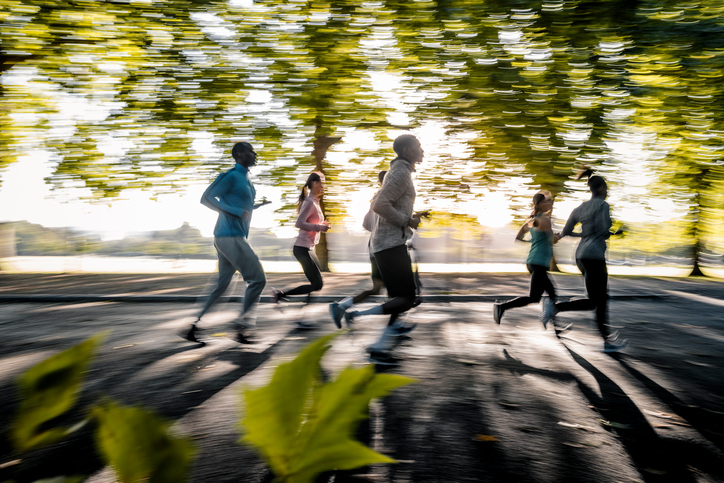 There are numerous articles on the benefits of running and even a growing body of research on the role that parkrun can play in helping individuals in staying active and improving their well-being. The PROVE project and the role of ambassadors is to think how we might get this message to service users and to make parkrun even more accessible for them. This work has already begun with the introduction of “parkrun practices”, where local GP practices are being encouraged to share the idea of parkrun and the benefits to individual’s health. Launched in June, with over 400 practices on board, it’s a scheme that is going from strength to strength. The scheme links up local surgeries with parkruns, facilitating this interaction between the two. It provides a handy toolkit for practices and ideas on how GPs might promote parkrun, as well as encouraging them to discuss issues with local parkrun event directors. It's designed to encourage not only those with physical health difficulties, but also mental health issues. As an often “hard to reach group”, it might be that these people need more support and encouragement in accessing community resources like parkrun. In addition, local parkruns may need support in thinking about how they can make their events even more accessible, or highlight all the positive aspects that they offer already. As a clinical psychologist, like lots of my colleagues, I am constantly looking for community support and resources that I can refer service users to; where they can practice skills and gain a sense of mastery and belonging. I find that this might be even more so with NHS resources being low at present. parkrun provides a great accessible, free, community atmosphere for all; it doesn’t matter if you run, jog, walk, volunteer, everyone is equally celebrated. And it's actually the volunteering aspect of parkrun that probably appeals to me the most when I think of my service users. Here individuals can be part of something on a flexible basis, around supportive and inviting people, engaging as much or as little as they like. So, have I referred service users to parkrun? Yes, of course! But I could do better. The clinician in me wonders why I haven't; with my ambassador hat on I wonder how I could make it easier. The parkrun practices are a great first step and we need to highlight the relevance to mental health even more. There is also thought in how it can also be rolled out and taken up by mental health providers. For the parkrun mental health ambassadors there's a lot we can do. With focus groups, awareness events, and Facebook groups up and running, it's off to a great start. But as a professional body I feel we can support initiatives like parkrun even more. We can provide the insight into our experiences of referring to community resources, talking face to face to service users about their experiences, as well as facilitating a reflective discussion on what else (if anything) parkrun could be doing. This is something that as ambassadors and a project we hope others are encouraged to do. Whether it is adding local parkrun information to your resources packs, referring individuals, or even popping down to your local parkrun to talk to them about how mental health services can get involved. The PROVE team are always keen to hear from people so give us a shout on [email protected] if you want more information or have thoughts. My takeaway from our annual conference conference was parkrun’s honesty about what they can do, what they'd like to do, but most importantly what they can't do. I'm biased, but I feel reassured in what I'm “selling” to my service users with parkrun, and that proposals made to the core team are thought out and consulted with the right people. That’s why as a clinical psychologist, and active person, I feel honoured to be a volunteer parkrun mental health ambassador and look forward to its impact growing from strength to strength.